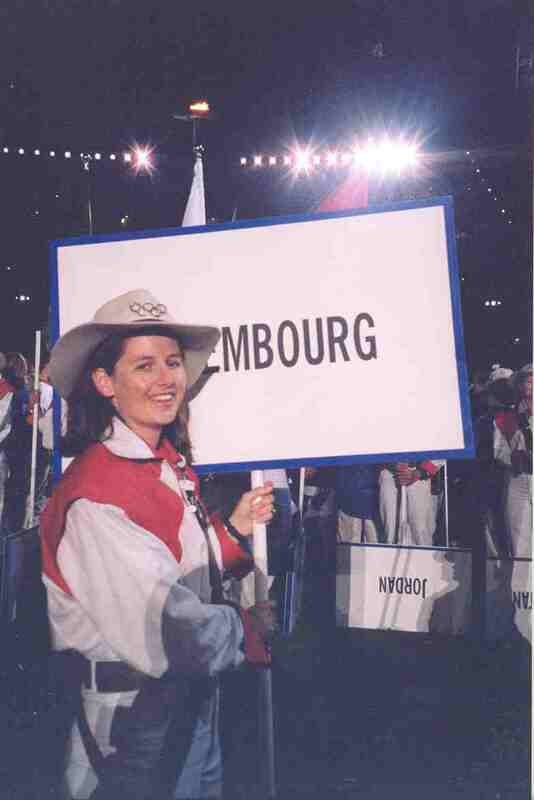 I was one of the 45,000-odd people who took some time off work and volunteered, carrying a placard in the opening and closing ceremonies and working with doping control during the Olympic and Paralympic Games. I knew it would be a once-in-a-lifetime experience. And it was. But what about when the honeymoon was over? What happened after October 1? I got a couple of emails from the Ceremonies Team, and then a final one, saying they were finishing up. After forming, storming, norming and performing, we had entered Tuckman’s final stage: adjourning. Or as some volunteers experienced, mourning. But what remains? An article in the Sydney Morning Herald in October 2000, interviews volunteering bodies who “hope” and “see potential”. Volunteering NSW maintain the Spirit of Sydney Group, who meet several times each year and have a web presence. Cashman asserts memory is an important part of event legacy. Without doubt, the Sydney 2000 Ollie Vollies are keeping the flame burning. So is there an actual volunteering legacy? A 2006 ABS report (p. 78) comparing volunteering statistics from 2000-2006 found 9.4% of the population volunteered in sport in 2000 and 11.4% in 2008. Can the Olympic Games claim credit for this? Or the Commonwealth Games? We don’t know. One of the difficulties is the transience of the Organising Committees who disband after the conduct of the event. A lack of research to determine these impacts is another challenge. The 2002 Commonwealth Games in Manchester effectively leveraged their volunteers into an ongoing event volunteer program that is still active today. An ongoing organisation to continue the volunteering career path is the success of the program. In all fairness to the Sydney Games, legacy was a not a familiar concept in 2000, and was certainly not part of the vernacular when they were awarded the games in 1993. The IOC held a Legacy Symposium in 2002 and legacy creation is a key outcome for host cities. An ongoing dialogue from a permanent organisation could have certainly nurtured and contributed to volunteering after 2000, creating a tangible legacy. Hindsight is all too easy. The presence of the London 2012 organising committee shows the significant contribution and efforts of Sydney 2000 volunteers are still regarded as best practice. Given the (little known) status of legacy at the time, an expectation of more than this, and the good memories, is unjust. The question is: will London 2012’s consolidation of this knowledge create a sustainable volunteering culture? Next Next post: Sport development legacies from major events: Legacy by osmosis?